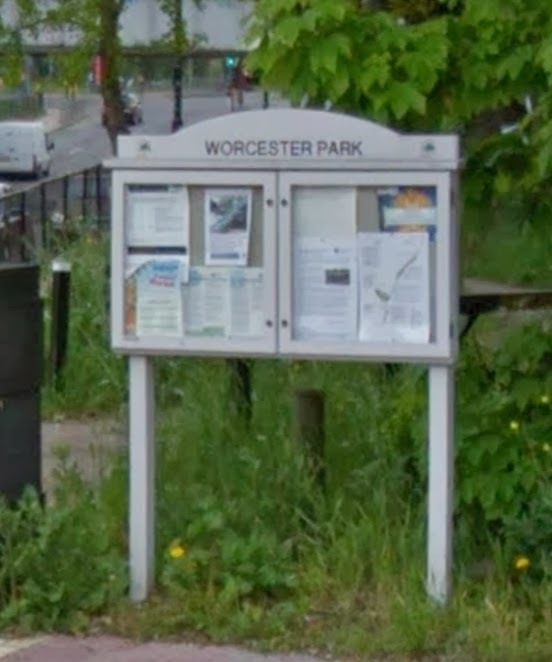 The WORCESTER PARK Blog :: Who Took Notice? While waiting at the corner of Green Lane today I spotted what looked like a new notice board on the corner. The trouble with things like this is that once you see what you think might be a new one you can't remember whether it has always been there or whether it is actually new. The fact that is was empty of notices suggests it might have just been put in. I can't remember ever seeing any notice board with all the old notices removed from it - ever - no mater how old some of them are. 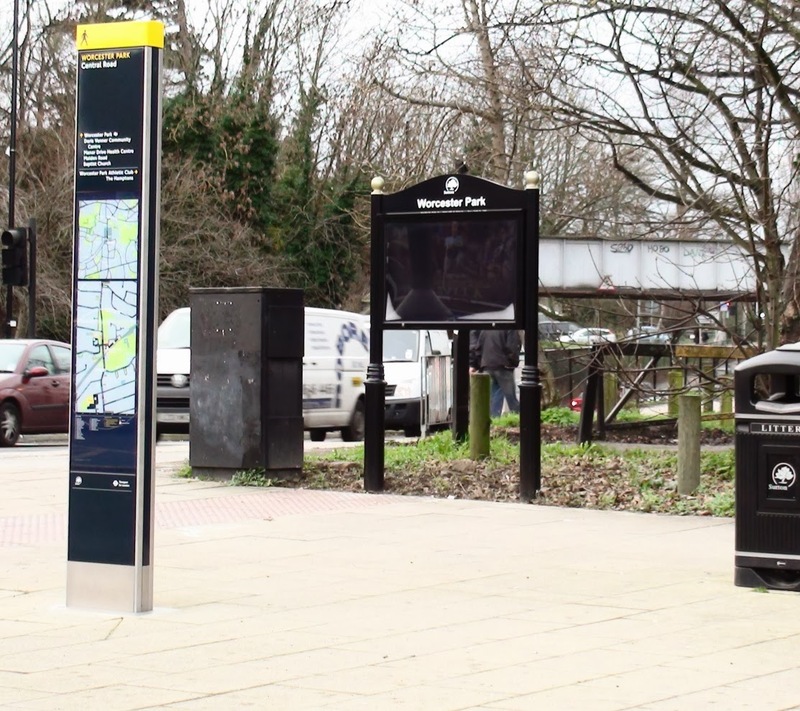 And I know this is the boroughs new notice board style (at a cost of around £1900) each. However I don't remember whether it was there yesterday or last week or last month (which would technically be last year). Pictured left is documented evidence that it wasn't there around the middle of 2012. And I'm pretty certain that this cream one was the one I saw within the last week or so but I just can't be sure. Can any readers shed light on when this new one went in? Can You Help Trace Robbers' Van?